Social media has dramatically changed the concept of marketing. Businesses that had big budgets were ruling over the market once, but now small businesses are competing with their limited budget through social media and strategic content marketing. Marketing is not just about achieving goals and boosting sales; it has now a “social” face too. There are wrong ways and right ways of doing the same thing. 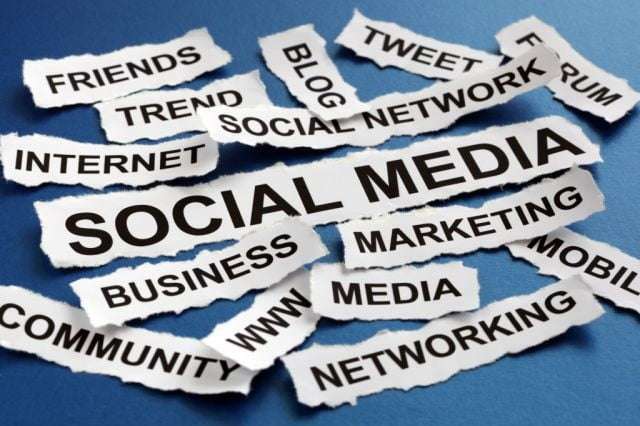 Let’s have a look at these top social media mistakes businesses are making. You have launched your e-commerce store with great enthusiasms and to promote your brand you have also created accounts on popular social media networks. But you failed to understand your audience for instance if you deal in men’s accessories then spending most of your time on Pinterest is like a joke. I am not saying Pinterest is a not a good platform but you won’t find the age group you have to target to boost sales there. Understand your audience and then choose the right content to promote on the right platform. Although you have accounts on almost all the popular social media platform but you are not regular users. You haven’t yet defined the goals and may be still working on that old marketing strategy so you are not getting time to post something interesting on your social media platforms. You have to stop doing this. Consistency is really required to make a brand and if you can’t do this hire a professional. You can’t be a superstar for everyone. Accept it that every social media platform is different to some extent. You can’t get the same engagement everywhere. Try to concentrate on 2-3 platforms at a time. This should be the number one point/mistake in this list. The term “social” means making connections, asking questions, giving feedback and helping people in your community but I have seen brands which still unable to get the meaning of “social”. You can’t share the same boring content daily. Useless content won’t get you quality traffic. Share something interesting and usable to increase engagement. I know you have created social media pages to boost sales, but that doesn’t mean you should share promotional content all the time. It will make your page look less informative and not at all interesting. People are following you, they want to hear back from you, but you are not getting time to respond. This won’t do any good my friend; you have to respond them timely to create trust. This is not a new thing. We can’t make everyone happy. Negative feedback is not a problem until you are responding professionally and providing a clear solution. A little automation is good and almost every brand is doing that, but complete automation can harm your image. You have to be “you” to create connections. And social media is all about good connections. When was the last time you hosted an event or fan competition on your page? If you are consistent on your social media pages then creativity is the cherry on the top. Try to share something creative. Make use of visual content, quizzes and events. Social media is a vital part of your marketing strategy. Don’t repeat the above-mentioned mistakes if you really want to make your brand rule over the hearts of your followers/fans. Be creative, be original and make good connections. Alan McCabe is a tech blogger who is passionate about social media marketing. He writes on the behalf of KOL Limited, a digital marketing company that specializes in SEM, SEO, PPC and bespoke web development.